Support Tibah and Omar To Study Music! Music enriches the lives of those who make it and those who hear it. Music builds bridges between people. Music makes friends. We link British and Palestinian musicians, particularly young people. 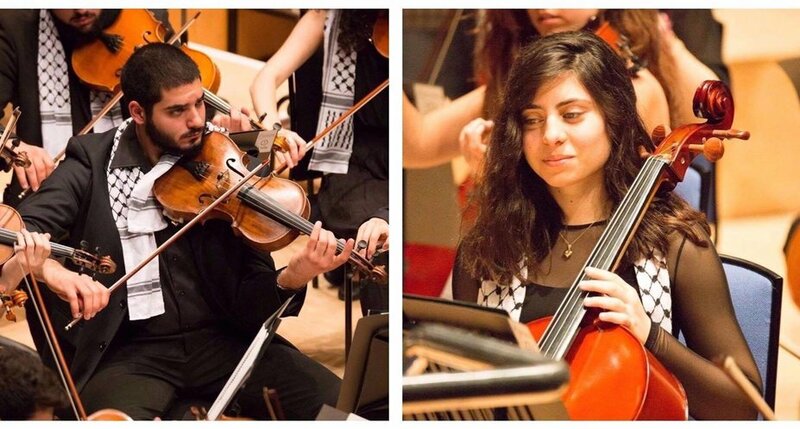 With your support, we can bring Palestinian musicians to study and perform in Britain and send British musicians and teachers to Palestine to enrich the cultural life of both nations. 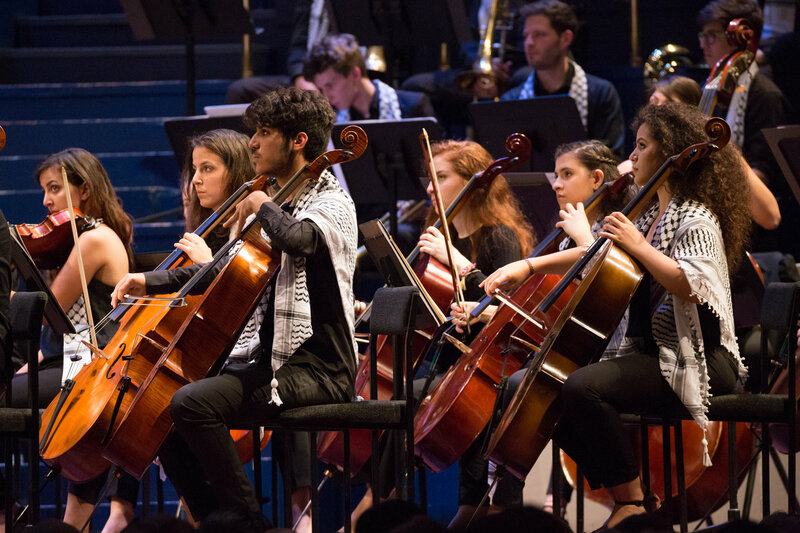 We have close ties with the Edward Said National Conservatory of Music, the vibrant institution which teaches Classical and Arab Music in Jerusalem, Ramallah, Bethlehem, Nablus, Gaza and throughout Palestine. 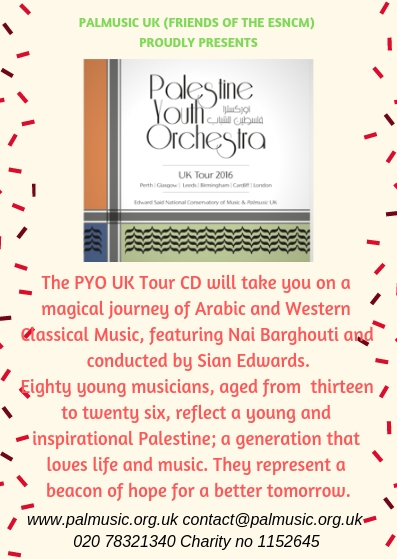 We helped fund the Palestine Strings to play with Nigel Kennedy at the BBC Proms 2013 and Mostafa Saad, a young violinist, to play in Hyde Park on the Last Night of the Proms. We sent musicians from Britain as judges for the Palestine National Music Competition 2014. We brought young Palestinian musicians to a summer music camp here and are sending British musicians to Palestine to give master classes. We award scholarships to young musicians in Palestine and we provide instruments. We help Palestinians to make music; to build bridges; to enrich their lives and the lives of others. We create opportunities for talent to grow and creativity to flourish. Palmusic UK are recruiting! CHECK OUR MEDA->NEWS PAGE! CLICK HERE TO RECEIVE OUR UPDATES!